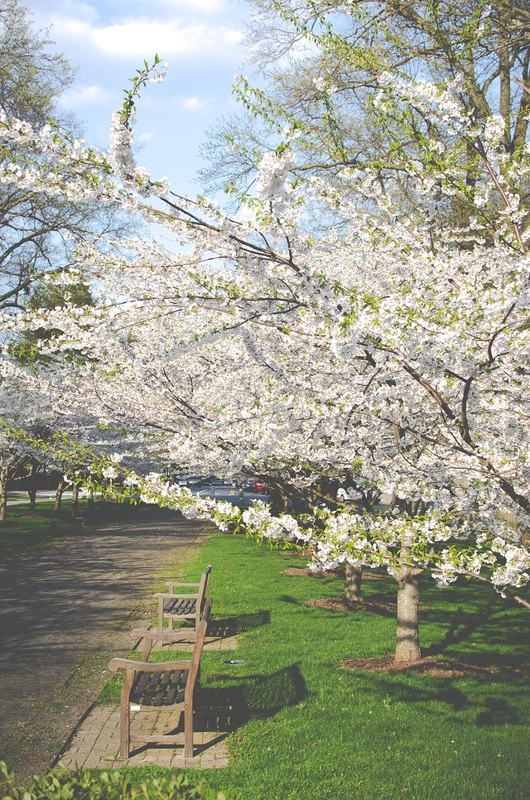 There is a feeling in the air today which makes me think Spring is really here ... at least for the moment. I think we need to celebrate. Throw open the windows. Put something in the oven. Jot you a note. And, because we're still too early for songbirds yet, I found a link with some lovely bird trills and whistles to keep me company -- it's been playing all afternoon. I was out earlier doing some small errands around town. When I got back, I felt in need of a little rest. The window was open to catch the warm afternoon sun, and gentle breezes set the lace curtain to billowing. Do you think heaven could be any sweeter? While I was out, I stopped at the library to pick up a book I had on hold. I've never read it, even though it's been around for decades. But it looks a delight. In the introduction, a fellow named Robert Barnard assures us that mystery readers "who have never encountered Josephine Tey are in for a delicious treat. Ms. Tey belonged to the Golden Age of British crime writing...and her place in the pantheon of mystery writers is unassailable." Sounds good to me. "On sick leave from Scotland Yard, Inspector Alan Grant is planning a quiet holiday with an old school chum to recover from overwork and mental fatigue. Travelling on the night train to Scotland, however, Grant stumbles upon a dead man and a cryptic poem about the stones that walk and the singing sand, which send him off on a fascinating search into the verse's meaning and the identity of the deceased. Despite his doctor's orders, Grant needs just this sort of casual inquiry to quiet his jangling nerves. 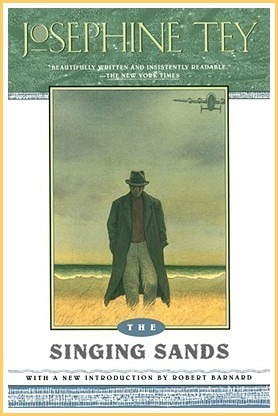 But what begins as a leisurely pastime eventually turns into a full-blown investigation..."
The Singing Sands is the sixth in a series of six mystery novels that include Scotland Yard's Inspector Alan Grant. Trust me to start from the back of the series, so I do hope it is a stand alone and doesn't need the others for it to make sense. And, poor Inspector Grant, we already know he's got nerves that need unjangling, so it will be interesting to see what kind of trouble Ms. Tey writes him into before it's all said and done. At last it's out of the oven -- my Glazed Lemon Loaf -- and it's driving me crazy as it sits calmly on the kitchen counter cooling, while the tantalizing aromas of zesty, buttery goodness waft past my nose. The recipe is one I've had for decades now -- so it's tried and true -- and I am happy to share it with you here. “Cakes have gotten a bad rap. People equate virtue with turning down dessert. There is always one person at the table who holds up her hand when I serve the cake. No, really, I couldn’t, she says, and then gives her flat stomach a conspiratorial little pat. Everyone who is pressing a fork into that first tender layer looks at the person who declined the plate, and they all think, That person is better than I am. That person has discipline. But that isn’t a person with discipline, that is a person who has completely lost touch with joy. I think this Jeanne Ray is a smart woman with her very sensible thoughts on eating cake. I shall remember her fine words when we have a slice -- a thick slice -- of lemon loaf later this evening. And now, it's time for the weekend to begin. I hope it's a lovely one for you, whatever you are planning. InScribe Writers blog about unfinished projects and momentum. Oh I like Jeanne Ray. Marvelous quote. I, of course, having eaten a few too many doughnuts today, can not be looking for that recipe because I do have a problem with not eating the entire thing. I read Josephine Tey many many years ago. I'd almost forgotten about her. She is such a good writer. That looks like what we call 'Lemon Drizzle cake' when the lemon and sugar goes on just as the cake comes out of the oven. Yum! I think that is a brilliant quote by Jeanne Ray. I love anything lemon! I've never read Josephine Tey either. You'll have to give us a report on it when you've finished! Josephine Tey is my favorite of all the writers of the Golden Age. 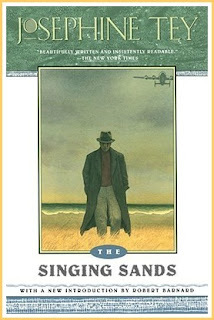 Singing Sands is wonderful and certainly stands alone but do try and find The Daughter of Time. It is wonderful and unique and has a wonderful blend of history and fiction. And thanks for the recipe. I love everything with lemon. I do love lemon cakes! Lovely post. I so enjoyed the words of Jeanne Ray. And, I absolutely agree with her about cake - love cake. 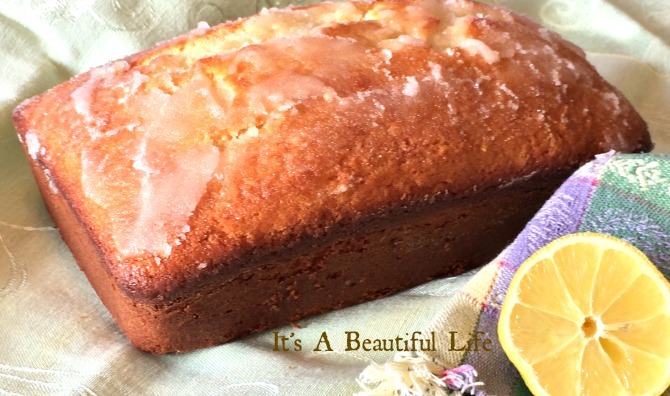 Thank you for the recipe for the glazed lemon loaf. I will put that to very good use - most likely this weekend. Again, a lovely post and I always feel like you gave me a little gift! Lemon cakes are definitely Yummy! Dear Brenda - wonderful post. I can smell that Lemon Bread too...sounds delicious! Visited your link. Great inspiration - made me want to get busy in studio and start tossing some senseless mess and finishing the possibilities. Have a lovely week - hugs! I'm looking forward to trying your loaf. Maybe I will used one of my own dear lemons from my little lemon tree that grew eight fruits this year. I love desserts with intense lemon flavor :-) Have you ever increased the amount of juice in the glaze? I have not increased the lemon, but it might be a nice surprise to do so. Enjoying one of your own lemons will be a delightful treat indeed, Gretchen. I hope you enjoy!! I echo the other comments about the cake quote. Life is too short to deprive oneself of the yumminess of cake or other treats!